This past Wednesday, my colleagues and I went out for lunch. We went to Federick Restaurant which is less than a 15 minute drive from our workplace. My fellow colleague had recommended it to me. It’s a fairly small restaurant with a mixture of booth and regular tables. The decor is mostly a dark wooden finish but with ample lighting. 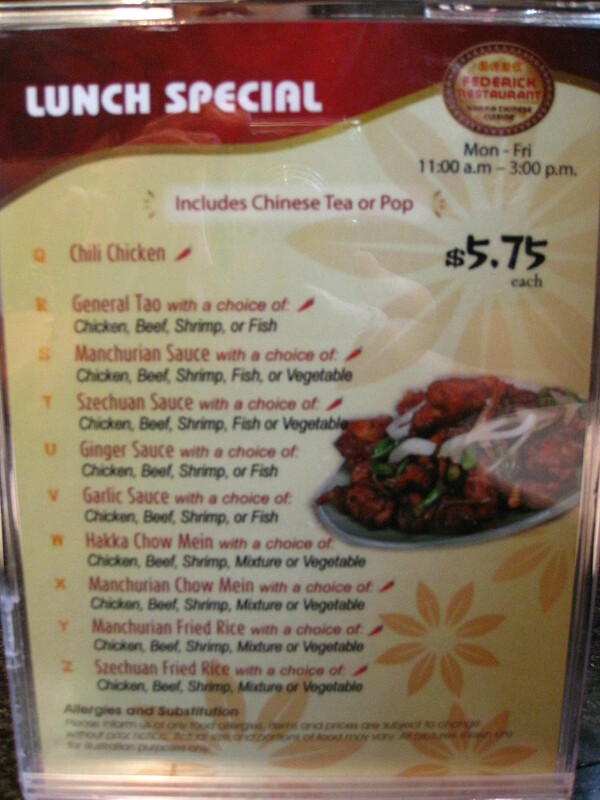 We had Pakora Chicken ($8.25), Chili Chicken ($8.25) and Mixed Hakka Chow Mien ($5.5). All three of these dishes are recommended on the restaurant’s website. 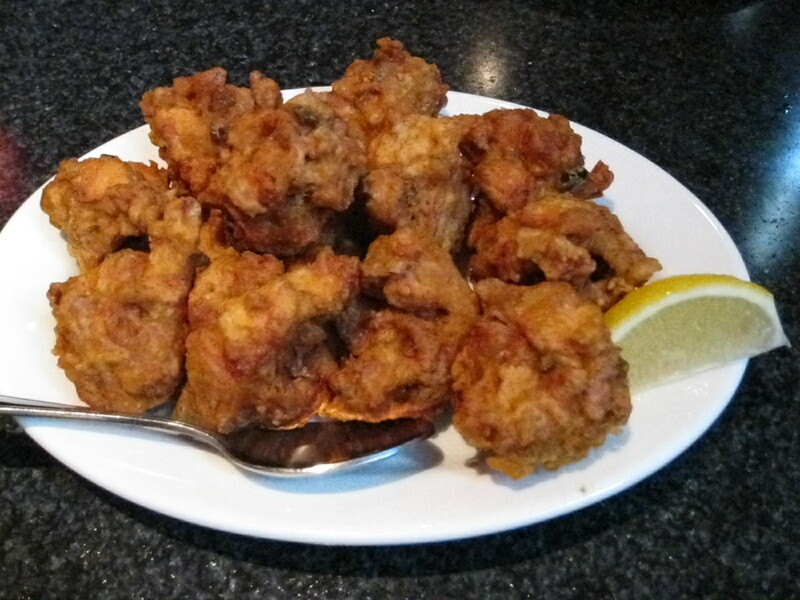 My colleague informed me that many online reviews recommended the pakora chicken and the chili chicken. The Mixed Hakka Chow Mien came with Chinese tea (it was a choice of pop or Chinese tea) since we ordered it from the lunch menu. We ordered the chili chicken and pakora chicken from the regular/dinner menu. They also had chili chicken on the lunch menu but our waiter said that it’s a smaller portion and it comes with rice compared to the version on the regular/dinner menu. Pakora Chicken is deep fried chicken with a lemon wedge. You squeeze the lemon wedge all over the pakora chicken. It gives it an additional dimension to the taste. It’s fine to eat it without the lemon juice. It’s slightly spicy so if you don’t like spicy food, I don’t recommend this dish for you. I liked this dish, it reminded me of KFC and Popeye’s deep fried chicken however it’s better-tasting. Chili Chicken is onions and chicken covered in (and most likely marinated in) chili. It’s quite spicy so if you don’t like spicy food, I don’t recommend this dish for you either. The chili chicken reminded me of Sichuan cuisine. 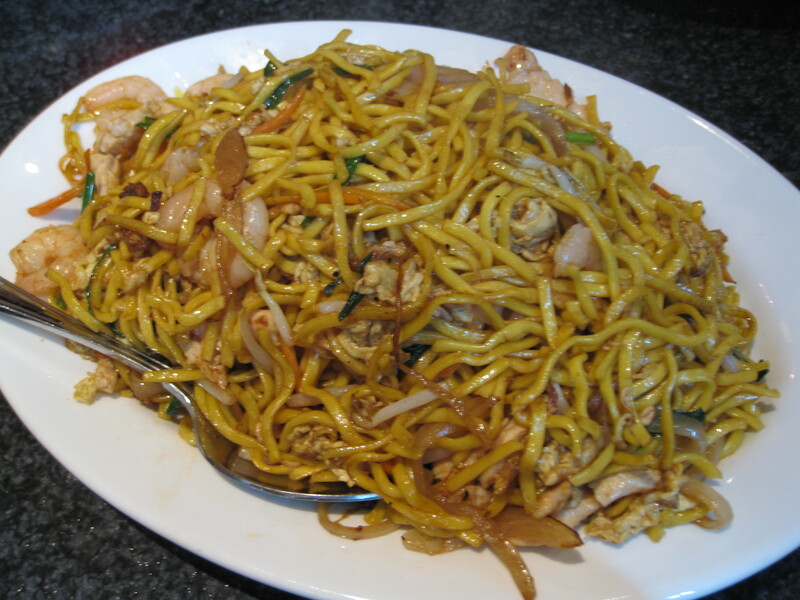 Mixed Hakka Chow Mien has shrimp, chicken, onions, carrots, beansprouts, green onions and thin, flat yellow noodles. When we first ordered this dish, I told the waiter to make it beef rather than chicken however when it came it was chicken so we had a lot of chicken for lunch that day. My colleague found the noodles interesting since she never had that type of noodles before. Both of my colleagues and I enjoyed the dish. Overall, I found the chili chicken to be slightly spicier than the pakora chicken although the spiciness of the pakora chicken lasted longer (to me anyways) than the spiciness of the chili chicken. 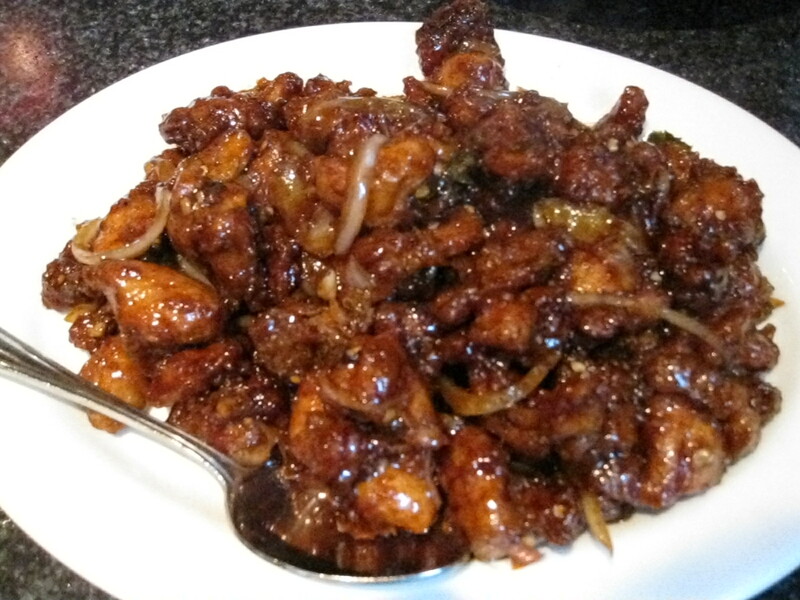 The spiciness of the chili chicken reminds me of Sichuan cuisine. I found all three dishes to be very delicious. My colleague found all three dishes to be equally tasty, she didn’t have a dish where she wouldn’t recommend or order again the next time she goes to Federick. She liked how the pakora chicken was made, even though it was deep fried, the sauce used is different from the regular deep fried chicken found elsewhere like at KFC or Popeye’s. My other colleague liked all three dishes. I recommend all three of these dishes if you are at Federick for a meal.